Taste test: These are some of the better supermarket-brand narrow-rippled potato chips out there. 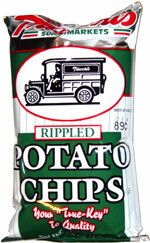 I think they're actually Wachusett's ripple chips, in a Trucci's bag. 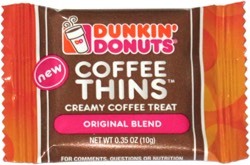 They're very tasty, just mildly salty, and very good. Smell test: Nice potato chips smell.